Quincessentials is a natural product research, development and production company based in Lithuania. We develop, produce and market zero waste plant based products, in particular using the fruit of the quince. Through cooperation and research we optimize effective use of natural and organic resources. Decreasing our dependency on artificial ingredients which pose a threat to the sustainability of our environment while optimizing the utilization of available sustainable natural resources. Quince is one of the most under-utilized species of fruit in our region. Quince contains a group of nutrients that have a positive benefit to human health. All parts of the quince develop various antioxidant types that protect the body from oxidative stress, a cause of diseases and skin disorders. Scientific and clinical studies have already demonstrated the potential of quince in pharmaceutical products. The use of quince helps to protect the skin from the harmful effects of the environment while lending itself to environmentally friendly processing technologies. Quincessentials are 100% produced by hand. Quincessentials exclusively uses organic and natural materials for its products. Quincessentials takes pride in its quality and values its responsibility to our environment. Quincessentials establishes long term mutual beneficial relationships with suppliers by localizing material selection. Our promise to our customers and ourselves is to never use parabens, synthetic fragrances, endocrine disruptors, carcinogens, GMOs, non-organically grown plants, or any toxic chemical of any kind. As we are awakening and learning where our food comes from, this is also a time to be aware of where our skin care comes from, how it’s made, and what is in it. The most effective skin care is raw, organic, farm sourced, handcrafted and made with love. It’s time to raise the bar for skin care ingredients. We are people making products for people, we welcome you to write to us if you have any questions or need personalized advice or help in selecting the best product for you. For ways to contact us, please click here. To guarantee our products keep the highest quality for you, we exclusively use Miron glass for our packaging. To read more on our packaging click here. Why isn’t Quincessentials organically certified? Since we don’t necessarily always agree with the governing bodies, we find the idea of paying them to use their symbol for marketing purposes unappealing. In regard to certifications in general, we are sure there must be some with integrity, but that search to find one hasn’t been a priority for us yet. The materials used in our products are natural and local where possible. In many cases, we know our individual farmers and don’t just trust a certifier. Each ingredient is selected on its properties based on scientific research. We believe our standards are above and beyond any certification that we’ve come across. 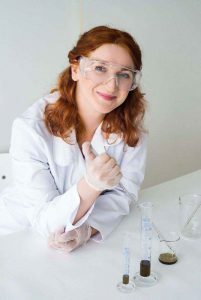 Natural Product Research and Development is a cutting-edge life science for the development of products. Through utilization of contemporary science and technology with a strong focus on organic plant, animal, microbial, biological polymers and other natural resource products. For further resource identification, extraction, analysis , modification or synthesis, by means of research, through published papers, lab trails, reviews or reports, development trends, etc. All this subject across biology, chemistry, biochemistry and pharmacology, from basic theory to the application of the latest technology. 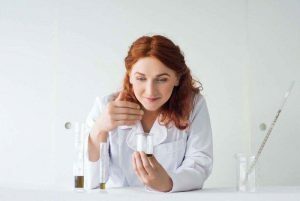 We will report the latest results of natural product research and development with regard to the use of natural materials in our products, and promote academic exchange. To strengthen research, development, production processes and communication with strategic, forward-looking and innovative partners. Towards future technological achievements in order to promote our health and sustainability. To go to our research blog, click here.